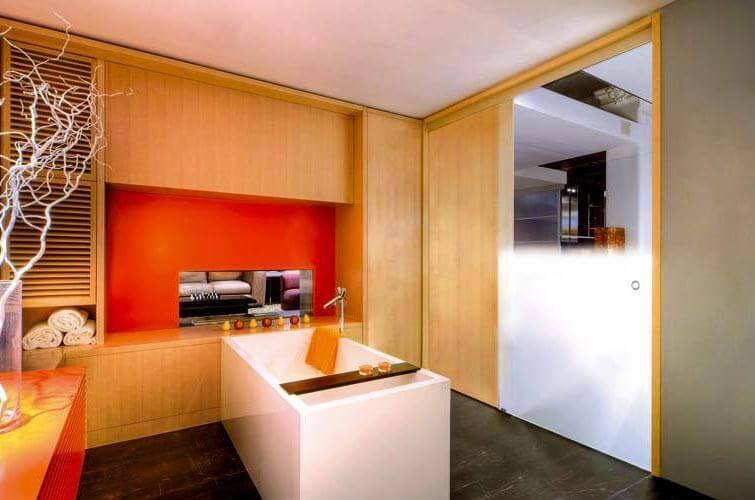 Unikself® is designed to divide rooms through a barn frameless glass door featuring a self-closing mechanism. Ideal for bathroom, bedroom or kitchen entrances, office fronts, laboratories, etc. Minimalist design with a compact clear anodized track holding panels up to 10’ high. Innovative application allowing 8 different speed settings and improving drastically the typical soft closing systems. Clipped valance for a quick installation. 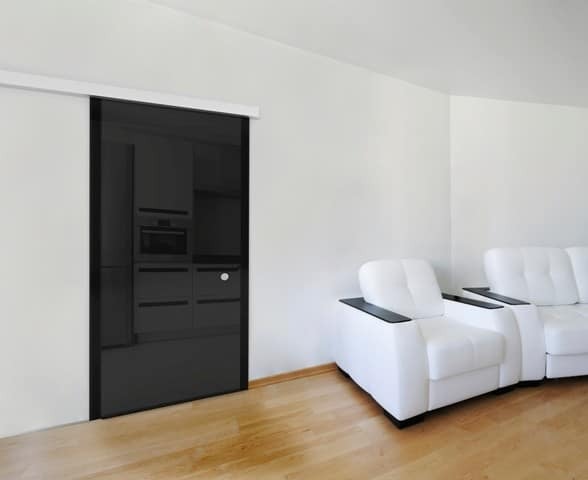 Minimal gap between the door and the wall to enhance aesthetic and acoustical features. 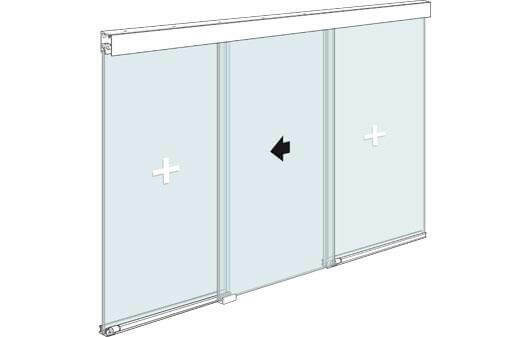 Glass panels held through high weight capacity pressure clamps with no glass drillings (use of tempered or laminated glass) for doors up to 4’-7”). Pre-mounted and pre-tensed transmission system for a quicker and easier assembly. Use of 3/8” and ½” glass doors. “Silver” anodized aluminium profile (AA10 ISO 7599, 10 microns). Ball bearing system for quiet and soft opening. Systems tested up to 100.000 cycles as per European standard EN1527.